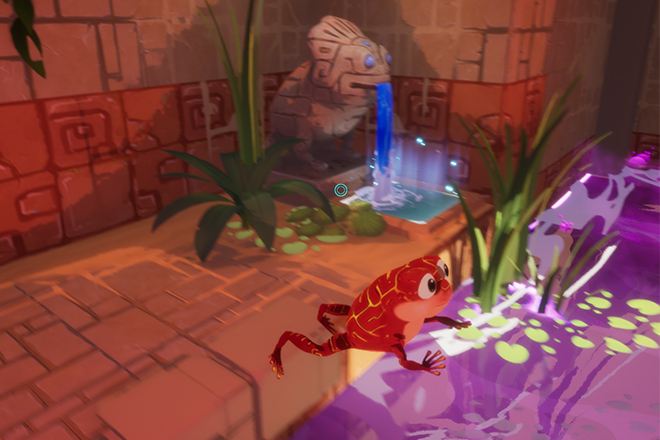 La Rana is a single person adventure game where the player controls Soos, a frog temple servant, who is trying to purify a cursed temple. Long ago the Temple of Rana brought rain and prosperity to the world. Now it stands neglected, its source of power stolen away. You awaken as the temple’s last guardian, a small frog spirit. 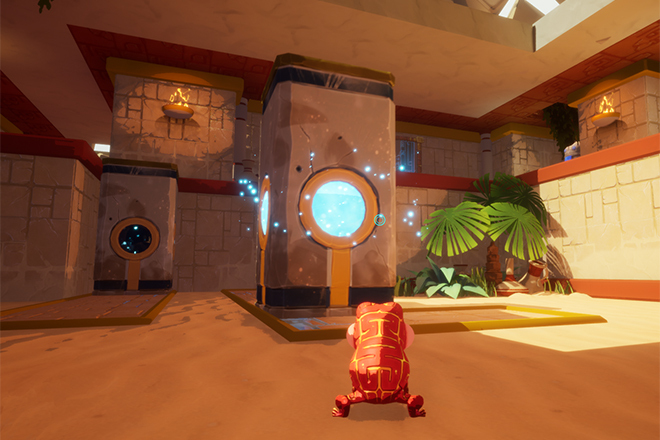 The lost power of Rana lies before you at the temple’s base. 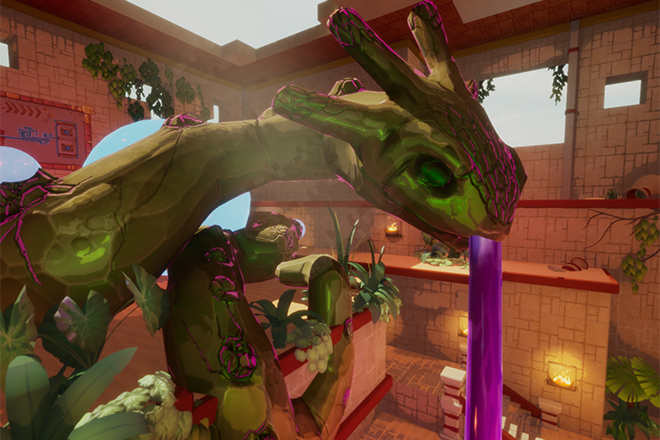 Using the last drops of Rana’s power, you must explore the vast ruins while discovering its secret chambers and marveling at its faded glory. 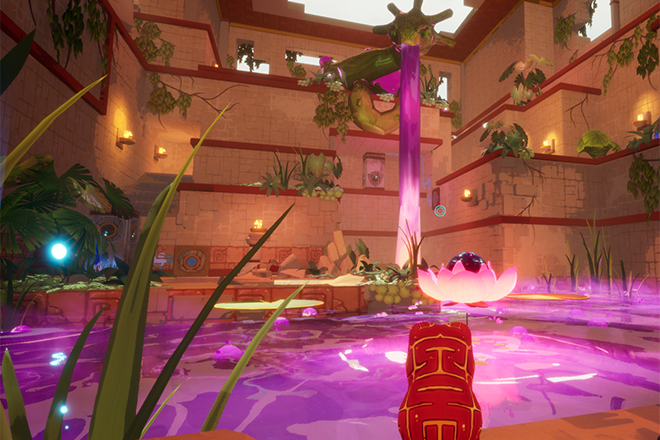 Recover the Temple of Rana’s lost power and restore rain to the world. 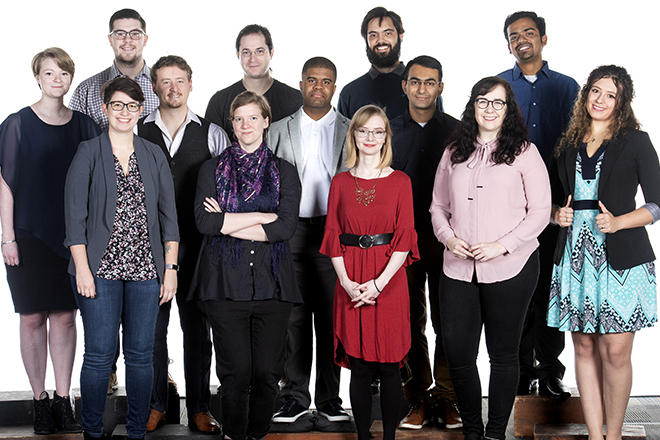 La Rana was developed between June and December 2018. 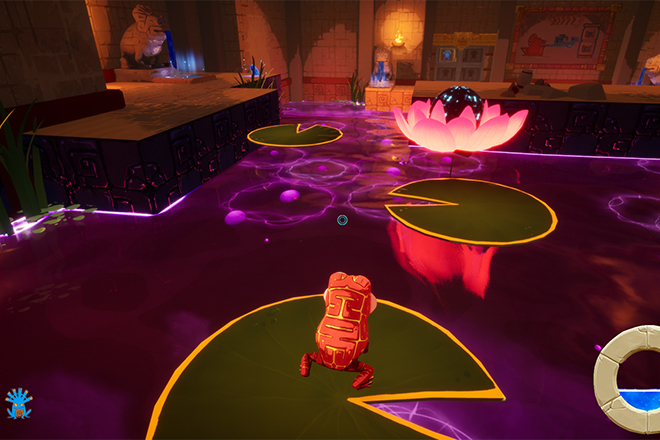 The team concentrated on making a tight, highly focused game that emphasizes magical, whimsical qualities brought to life by visual effects.